Severe shoaling has made the Fire Island Inlet nearly impassible for most boaters. Accumulated sand has made Fire Island Inlet treacherous for boaters, according the the Coast Guard. Boaters have been warned to avoid the inlet, and commercial vessels have been redirected to Jones Inlet to the west or Shinnecock Inlet to the east. Boaters taking Fire Island Inlet should only do so at high tide and with extreme caution. Moriches Inlet, located between Fire Island Inlet and Shinnecock Inlet, has such a severe shoaling problem that channel markers have not been set by the Coast Guard, which has deem the inlet impassible. 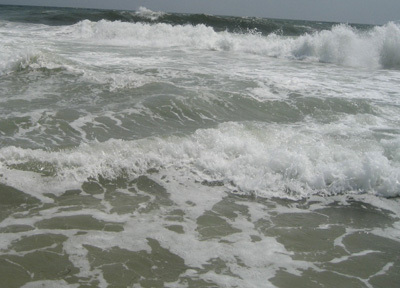 The Coast Guard has reported that the water depth has shrunk as low as four feet at high tide and less than a foot at low tide in the narrow stretch of water connecting the Great South Bay and the Atlantic Ocean on the western end of Robert Moses State Park. Shoaling, or shallow water, extends throughout the width of the inlet. The low water levels are throwing off commercial fishing vessel schedules and taking a chunk out of the typical slew of recreational boaters. The long-term impact on the local economy is not yet known. The accumulation of sand in the inlet is a natural process, and it is possible that a large storm passing through could open the channel to a safe depth for boaters. Dredging the inlet would reverse the conditions, but the next large-scale dredging project isn’t scheduled until 2014. The Army Corps of Engineers completed its last mass dredging in 2008, removing over half a million cubic feet of sand from the inlet. Lack of funding at both the state and federal level has prevented any dredging from taking place earlier than the next year. Before Congress eliminated earmarks, emergency dredging projects were funded through these legislative provisions for specific projects. The cost of dredging Fire Island Inlet to the authorized 14-foot depth is between $30 and $35 million, to which the state would have to contribute, and would require the removal of millions of cubic feet of sand. Sen. Charles Schumer (D-NY) has called for the use of stimulus funds to pay for the multi-million dollar project, citing a need to correct dangerous conditions for recreational and commerical vessels, as well as emergency responders. Subject: LongIsland.com - Your Name sent you Article details of "Fire Island Inlet Boater Warning"